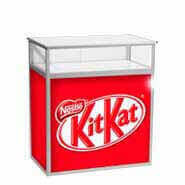 Company promotional counters delivered in 24 hours for product promotion stand advertising and demonstrations. Trade show plinth tables and portable exhibition pop up counters for promoting and sales marketing displays. Event and exhibition counters for pc, iPad and laptop workstations and folding display cases. 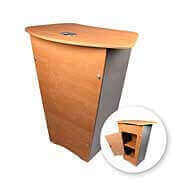 Trade fair conference and lectern seminar desks for presentations. Mobile and wheeled vending food promo counters for sampling. Portable exhibition counters for promotions and everyday branded display stand marketing use, custom made presentation counters suitable for a wide rage of services, ideal for company products and brand marketing. All promotional counter is custom printed and manufactured with your company logo and branding design and are suitable for indoor and outdoor use in exhibitions, trade shows, conferences and events. We have the portable pop up counter displays with internal storage, to store products and literature. For more options on work desks and related products for simple promo exhibiting and promotions see our other categories that might help you pick the right exhibition stand or exhibition banner stands. Need design guidance or just more information pleases call we are here to help. From weights sizes and dimensions and simply advice on the best solution for you. If you need any kind of pop up exhibition counter or portable promotional display case stand, then talk to us. Stand Banner have a wide selection of promotional counters to suit your every display and marketing requirement. 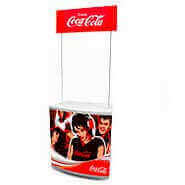 All promo counters are designed to suit different marketing requirements and budgets. We also design and print presentation counters or some times called promotional counter for every product need, from large portable marketing desk to small exhibition display plinths. We design and manufacture for small independent companies to large blue chip internationals and deliver the same quality of service and expertise for all our clients from large food retailers to electronic giants if you need a reliable high quality and easily portable counta, then look no further than Stand Banner. Branded counters including portable branded information desks are easy to transport and assemble for information or brand marketing at any product launch or related promotional need. Printed from your supplied design or we can design and print your exhibition stand for you with the minimum of fuss. Company corporate branded display case for advertising and product promotor and product launch including tasting and surveys and information points. 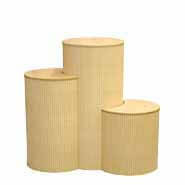 Designed for many different companies uses, available in a selection of sizes for indoor and outdoor use. 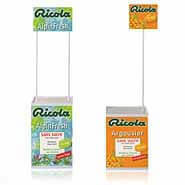 All our display stands are printed at the highest quality on durable hard wearing material designed to endure heavy use. High fidelity graphics with photo likeness and bright vivid colours. Stand Banner is a leading UK supplier and manufacturer exhibition pop up stands and portable promo desks and counters for promoting food and drink based products from wheeled sampling stalls to mobile food counters. We can design and make custom and bespoke counter systems tailor made to suit your brand and marketing requirements no matter what they are. Ideal for outdoor food tasting and testing new brands and products. Commonly used by big brand advertising companies to launch or gauge new products on consumers. These items are portable and designed to be used to promote or promo your company. 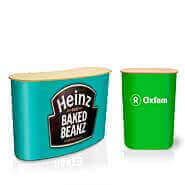 Promotional items often called promo items are used to achieve grater product and brand awareness at events or general high street marketing where you need a portable desk to view products or to wright. Flat packed PVC stand that folds down into a convenient carry bag for sales executives and company executives. Who Sells the Best Exhibition Counters? Well us of course, with over 25 years , day in day out producing the finest counters, money can buy. We are the best advised and fastest producer of bespoke portable furniture that is designed to be used time and time again, not like our competitors, that are happy to see you use the product once and then discard it as it is not fit for a second use. We sell the best and we are the best at what we do. Order your display today and have piece of mind that your display is going to be the best. Fast UK delivery for all your portable marketing needs from product display stands to retail marketing stands, we can delivery within 24 hours or standard next day to the UK and Europe. Simple cost effective solution for design and print with easy payment methods including PayPal and Trade Account.